IMAGE: Uroptychus spinirostris is an endemic species of squat lobster that occurs across northern Australia at about 400 m depth. Images: Anna McCallum, Museum Victoria. Few national maps of marine biodiversity exist for Australia. Marine planning, and assessments of potential developments and conservation actions therefore have been based on a limited biological dataset. 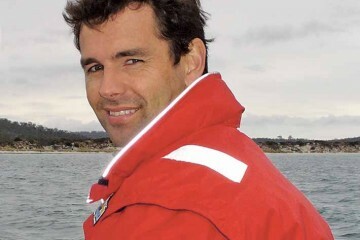 This project accumulated new and comprehensive biological datasets for the Australian Exclusive Economic Zone (EEZ) including Antarctica, from depths of 0–2000 m. The datasets provided the basis for mapping seafloor fauna and species richness and turnover across the EEZ and neighbouring waters, and determining the best way to interpolate species distributions from existing records. It also examined the role of environment and history in forming biological communities, mapping evolutionary diversity, and identifying areas with clusters of phylogenetically distinct species. The mapping contributes an improved knowledge and understanding of offshore seabed communities and can be used to identify areas of biological and genetic diversity that may require special consideration during planning decisions. 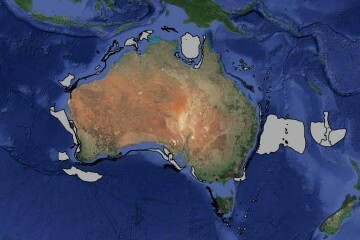 It also supports future updates to the marine bioregionalisation for Australia. 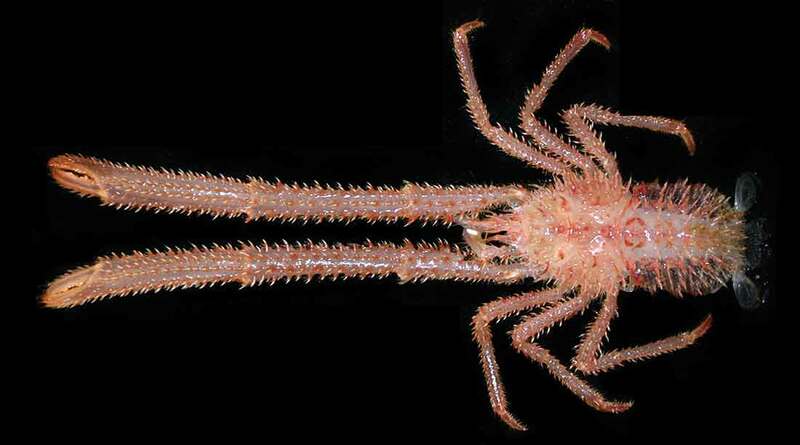 Australian and overseas museum records, international databases, and taxonomic literature were collated into a comprehensive distributional dataset for two groups of benthic invertebrates: brittlestars and squat lobsters. 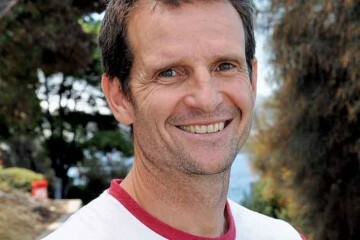 Distributional datasets were analysed to map species richness and species turnover around Australia, taking into account the variation in sampling density and collection techniques between different regions. A genetic dataset was developed at the same time for these groups to ensure that conservation activities can prioritise taxa in divergent evolutionary lineages. A synthesis of the distributional and phylogenetic datasets will be mapped as a means of incorporating phylogenetic diversity in conservation planning. IMAGE: Modelled species turnover across the EEZ and Antarctic Territories. The darker colours indicate areas of most rapid species change. Image: Skipton Woolley, Museum Victoria. Depth (or rather correlated factors such as pressure and temperature) is the first order environmental predictor for species turnover/community composition on the seafloor. Fortunately, this means that fine-scale bathymetry data can be used as a (partial) surrogate of community composition. 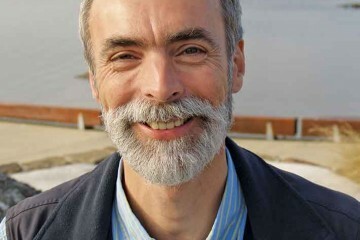 Communities on the continental shelf and slope have evolved independently. These two biotas should be considered as inhabiting separate biomes, although they can overlap at outer shelf/upper slope depths (100–400 m). Preliminary data suggest that species on the abyssal plain have relatively recently evolved from those on the continental slope. Seafloor communities within each depth biome are structured into latitudinal bands (tropical, temperate, polar). Within each of these bands there are variations in community composition by longitude and habitat. 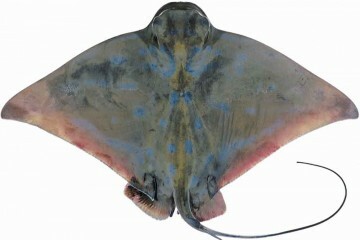 In shallow water, the south-western fauna differs by up to 50% from the south-eastern fauna. On the shelf and upper slope, species richness peaks at tropical/subtropical latitudes for both taxonomic groups, declining at temperate latitudes, and substantially declining at polar latitudes. The pattern is different on the middle and lower slopes and the abyss, where species richness peaks at temperate latitudes. 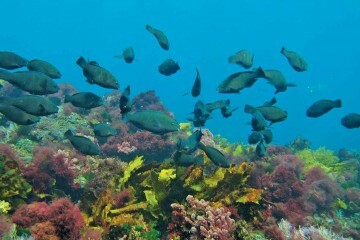 Species at bathyal depths (200–2000m) can occur across extensive longitudinal ranges. For example, the seamount fauna of Tasmania is closely related to seamount faunas around southern New Zealand, and species on the southern Australian continental slope are also found at similar depths around New Zealand. The hard substratum fauna on the Macquarie Ridge is more related to the seamount faunas of south-eastern Australia and New Zealand than to seamounts adjacent to Antarctica. ‘Species’ with extensive bathymetric ranges are often composed of suites of cryptic species, each distributed into their own depth band. The magnitude of bathyal diversity has almost certainly been considerably underestimated. 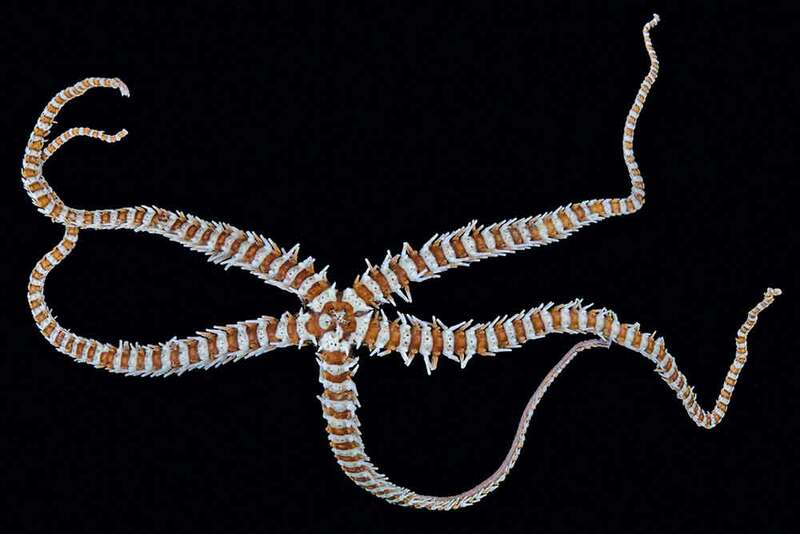 IMAGE: This species of brittle-star (Astrogymnotes hasmishi) lives upside down with its back to the host corals. IMAGES: Left: This shallow water crab species (Liomera edwardsi) was collected in the Oceanic Shoals CMR off northern Australia, and is widely distributed across the Indo-West pacific. It may represent a cryptic species complex. Right: Sigsbeia oloughlini, a new species described from the continental shelf off Esperance, Western Australia. Australia’s shelf and slope fauna are not well known. Images: Caroline Harding, Museum Victoria. Datasets collated in this project can be used to predict seafloor community composition in most unsurveyed areas of the Australian EEZ. Exceptions include the Cocos Keeling and Christmas Island territories and the entire EEZ at lower bathyal to abyssal depths (3000–6000 m). 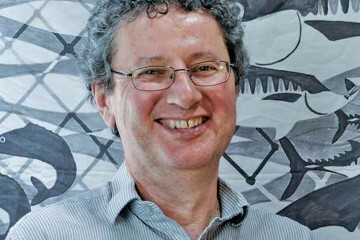 They can also contribute to the future refinement of the Integrated Marine and Coastal Regionalisation of Australia (IMCRA) classification scheme, a spatial framework that supports bioregional planning. Maps of seafloor fauna and species richness and turnover have been developed for the Australian EEZ and neighbouring waters, providing an improved knowledge base for identifying, assessing and managing biodiversity in Commonwealth waters. A deeper understanding of the origins of selected Australian marine fauna can help to explain modern biogeographic patterns and assess the potential impacts of future change (see story Exploring the origins of Australian marine diversity).